Tyler Manderson was fantastic on Tuesday as he and the Rockies bullpen shutout the Marlins and allowed only five hits to the them. It was Anderson’s best start of the year and with the run support he received the Rockies cruised to an easy victory to lower their magic number to four over the Brewers and three over the Cardinals. The Rockies almost failed to capitalize on a first inning, first and third, no outs opportunity. 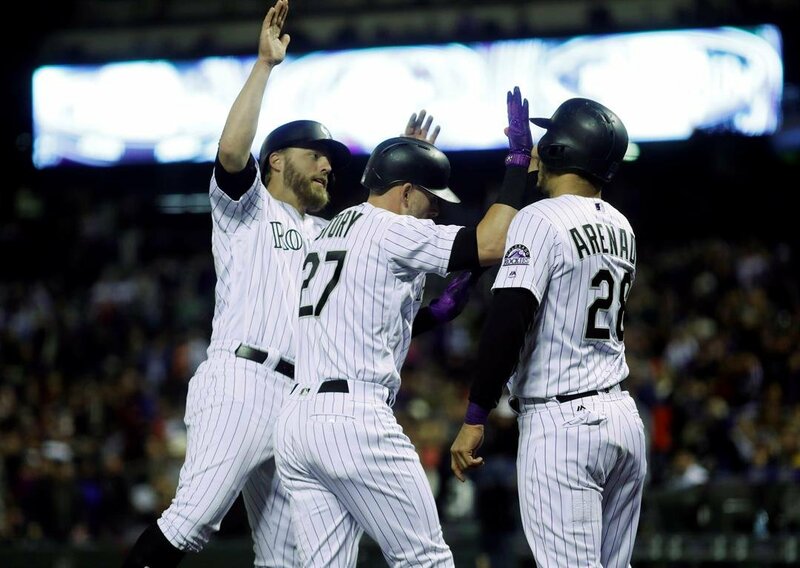 After Charlie walked and LeMahieu fisted a hit to right field to move Blackmon to third, Cargo grounded into a double play that scored a run but emptied the bases for the Rockies. Arenado and Reynolds hit singles to put two on for Story and with two outs and a full count, Story lined a ball over the right field wall for a three-run homer. It was nearly a wasted inning, but thanks to the long ball the Rockies got all the runs they would need in the game. Colorado would get two more runs in the fifth for some stat padding to Arenado’s MVP worthy season. On a ball low in the zone, Arenado launched a ball to center for a two-run shot, his 36th of the year and his league high 129th RBIs. The runs were inconsequential in the scheme of the game, but it helps Arenado’s case for MVP. Tyler Anderson allowed only four hits over seven innings, striking out five and walking none. Along with his efforts, Chris Rusin, and Mike Dunn allowed only five hits to the Marlins and walked none in the game. The Rockies have held Stanton down, allowing only one hit, a double that was worthless. The Rockies go out for the series finale and send their ace, Jon Gray, to hopefully hold the Marlins down. While Gray has been excellent at home this year, he has not been good against the Marlins. Something has to give in this game so hopefully it goes in the way of Gray and the Rockies and he continues his streak of allowing three runs or less for the 13th straight game.